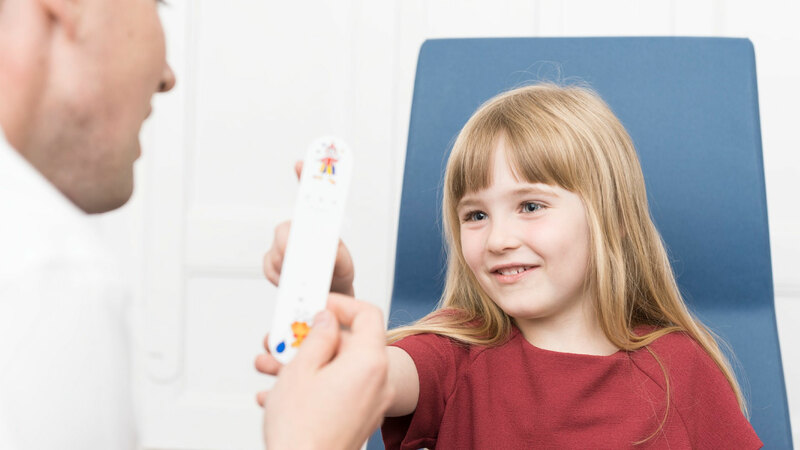 Myopia Management (also known as Myopia Control) aims to slow the progression of myopia in children through identifying risk factors, making adjustments to lifestyle, specialised contact lenses, and occasionally with specific multifocal spectacle lenses. At Cameron Optometry, our expertise in contact lenses allows us to provide the most advanced options available based on up-to-date research, which has found Myopia Management contact lenses can slow the progression of myopia by over 50%. Myopia management is very unlikely to halt the progression, however the aim is that by the time your child reaches adulthood their prescription will be significantly less than it would have been if their myopia was left untreated, meaning they maintain as good vision as possible without their spectacles on and reduce their risk of serious eye disease in later life. An example is a nine-year-old patient who started with a low level of myopia (-0.50DS). Using the best available research we were able to predict that wearing glasses or contact lenses would mean they end up with a prescription of -4.85DS. However if they wore myopia management contact lenses from this point then on average they would end up as -2.72DS. What difference does this make to the child? Would they not have to wear glasses anyway? Yes they would however, if you have a prescription of -2.72DS then although your far vision is blurred without your glasses or contact lenses, you can see things clearly at around 35cm which is practical for reading, computer use and many near vision tasks. If your prescription climbs to -4.84DS then your far vision is significantly more blurred without your glasses and close things have to be brought to around 20cm to be seen clearly, which is must less practical for day to day tasks. In addition, with higher amounts of myopia you are at considerably increased risk or eye disease in adulthood over someone with less or no myopia. With a prescription of -4.84 you are around 10 times more likely to have a retinal detachment in the future than a person without myopia. This is reduced to four times more likely if you are -2.72DS. You can see from this that, whilst the contact lenses cannot stop the progression of short-sightedness, they can significantly improve how a person lives.